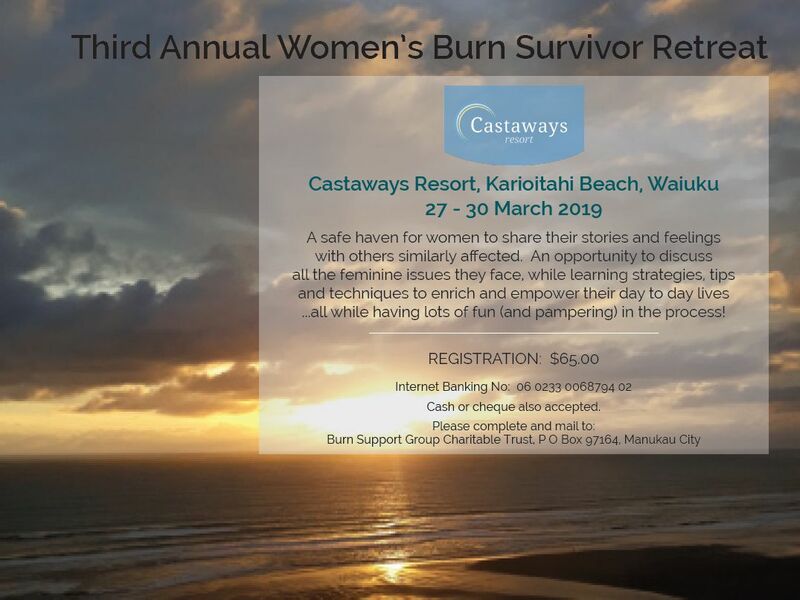 Burn Support Group were thrilled to be able to hold this year's retreat again at the beautiful venue, Castaways Resort. With the number expanding to 18 lovely participating ladies, it was a humbling, inspiring and reflecting experience shared by all. For the first time we welcomed 4 charming burn survivors from Australia to join us in our 4 day adventure, thank you to our Kiwi ladies for the warmth that you offered as they became a part of the burn family... It is our hope that the Retreat offers confidence, friendship, learning tools, tears and laughter that you will take away with you to enhance your daily lives...thank you ladies for your participation, your positive feedback , honesty and being you!! None of this is possible without the help and support that is provided by the amazing generous sponsors, donations and professional services that volunteer their time to our great cause. On behalf of all involved our heartfelt thank you and appreciation for your involvement. TO OUR MAJOR SPONSOR, PSL FIRE AND SAFETY, THANK YOU FOR GIVING BURN SUPPORT GROUP THE OPPORTUNITY TO CONTINUE PROVIDING THESE VALUED AND NECESSARY EVENTS.